Del Potro is playing in the French Open semi-finals for the first time in nine years. 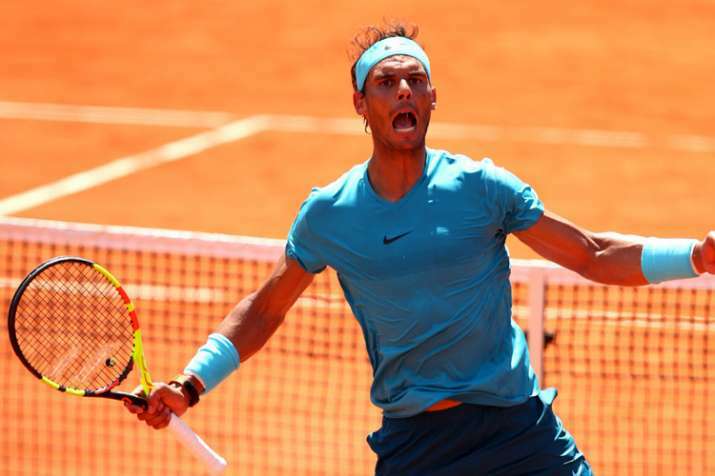 Nadal is closing in on his record-extending 11th title at the clay-court Grand Slam tournament and what would be his 17th major trophy in all. Del Potro is playing in the French Open semifinals for the first time in nine years. The other men's match is No. 7 Dominic Thiem of Austria against unseeded Marco Cecchinato (Cheh-key-NAH'-toe) of Italy. Thiem is appearing in the final four at Roland Garros for the third consecutive time. Cecchinato had never won a Grand Slam match until this tournament. At No. 72, he is the lowest-ranked French Open semifinalist since 1999.